What a great opportunity! 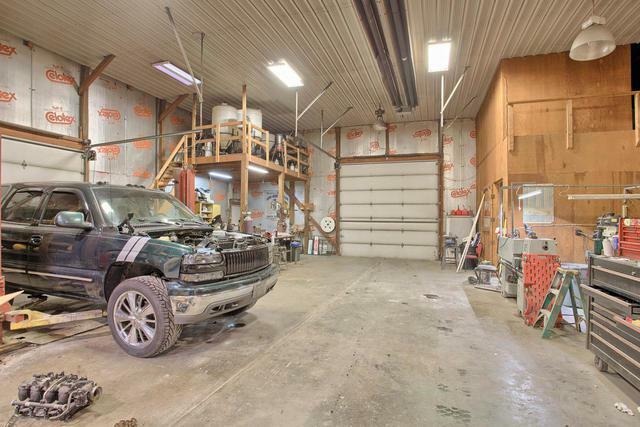 5 + or - Acres with 2 large buildings. 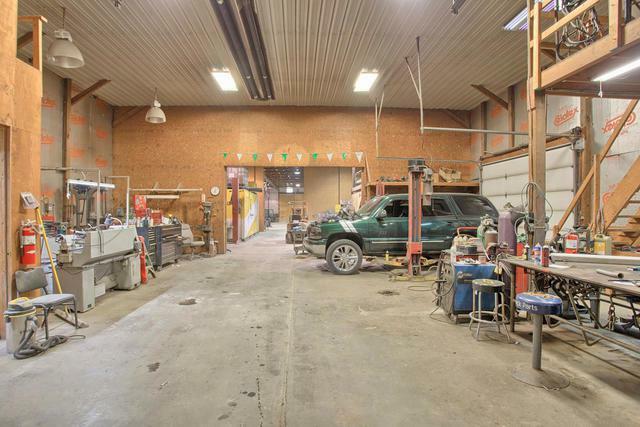 Building 1 is 160 X 60 (9,600 SF), 20' tall consisting of a Machine Shop with Radiant Heat, 2 Vehicle Lifts, 1 Forklift, Milling Machine, 2 Drill Presses, Four Bolt Tire Changer, Four Asstd Bolt Inventory in Bins, 6 inch Concrete Flooring throughout, Automatic Aircraft Door (for large Farm Equipment) and many extras. 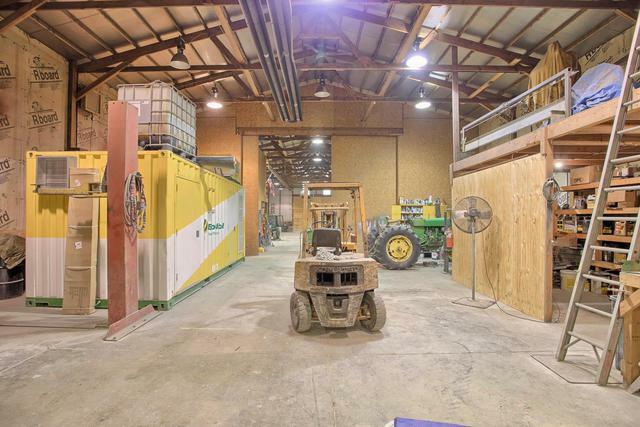 Building 2 is 178 X 42 (7,476 SF) - Pole Structure with 3 Sliding Doors for Machine Storage. Building sit on almost 3 Acres of rock base. Has Bridge Monitoring System for use by Colleges & Universities. *age is unknown. 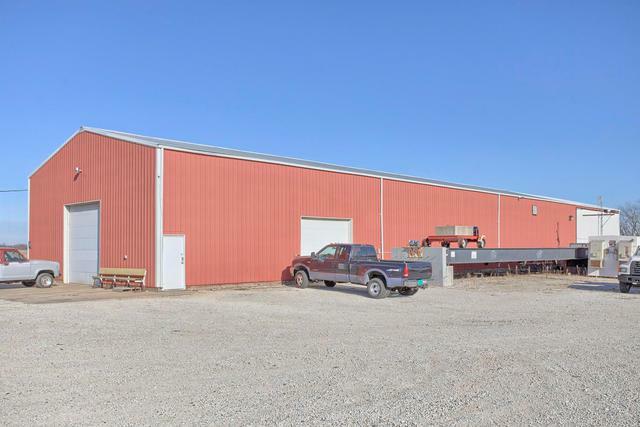 10.5 acres of tillable adjoining available for purchase.